Whether it’s the tiresome lack of female nominees at awards ceremonies, gender pay gaps or the #MeToo movement, it’s fair to say the spotlight has never been more focused on the relationship between women and film. Thankfully, attempting to remedy some of the inequality and calling for more female voices in film criticism is film critic and broadcaster Anna Smith with her new female-led podcast, Girls On Film. Featuring industry guests, Bechdel tests and lively debate. What’s more, Girls On Film is launching a series of live podcasts right here at HOME across 2019. So come along, listen to what these film leading ladies have to say and get involved in whats sure to be an entertaining Q&A. This month’s guests are writer, broadcaster and cultural commentator Miranda Sawyer and Francine Stock, presenter of The Film Programme on BBC Radio 4. 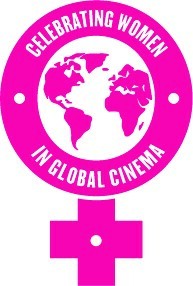 The panel will review films on current release, up-coming films in HOME’s Celebrating Women in Global Cinema season and will debate whether this year’s BAFTAs, Oscars and Golden Globes have given women the recognition they deserve. Miranda Sawyer is a writer, broadcaster and cultural commentator, and writes regularly for The Guardian. Follow @msmirandasawyer on Twitter. Francine Stock is a broadcaster, novelist and author of In Glorious Technicolor: A Century of Film and How It Has Shaped Us. She’s been presenter of The Film Programme on BBC Radio 4 since 2004. Follow @FrancineFilm on Twitter. Anna Smith is a film critic and broadcaster and Chair of the London Film Critics’ Circle and a regular critic for BBC News, Sky News, BBC Radio, Metro, The Guardian, Sight & Sound and more. If you stay up to watch the Oscars, you will have seen Anna commentating from Sky Cinema’s sofa – and if you browse through Metro newspaper in the morning, you’ll have read her ’60 Seconds’ interviews. Anna hosts Q&As with film stars in cinemas all over the UK. Before specialising in film, Anna was the launch editor of Wax, making her the first woman ever to edit a dance music magazine in the UK. She dedicated herself to film criticism in 2000. Follow @annasmithjourno on Twitter. Girls On Film is produced by HLA Agency by Hedda Archbold with Jane Long. What does it take to attain the ideal of a united family?